You’ve put your business plan together. You’ve taken the time to scope out the perfect location. You’ve started working with a distributor to figure out which cards you are going to carry. And you’ve sent in your information to Upper Deck to become a Certified Diamond Dealer. But now it is time to think about how you plan on selling potentially the most important item in your inventory; the single card. 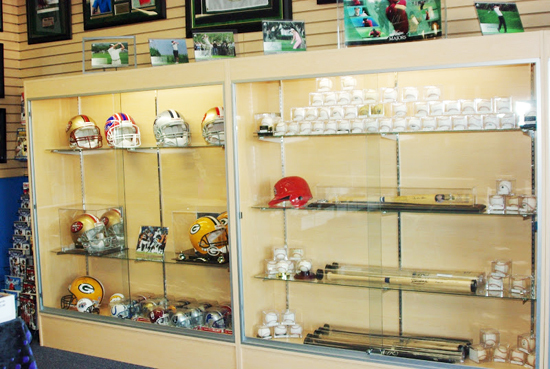 Traditional – The traditional approach is to purchase display cases, organize cards by sports and put price tags on them. Most shops will run different specials on these cards to help move through inventory and replace it with new cards. Making sure you are changing up this inventory frequently is very important to giving your regular customers something new to see. It is important to make it relevant so if a player has an amazing game or string of games, make sure to get cards in of him in the display. In the off season for certain sports, most shop owners like to display legends that have mass appeal all year long. Keep it fresh and interesting and you can have some success here. Finding quality display cases to show of the singles and memorabilia in your store is very important, but it can also be very expensive. It is vital that you plan for those costs in your business plan and try to find them at a good price. There are a couple drawbacks with regard to the traditional approach however. First, you need to purchase the glass display cases which are certainly not cheap new, and can still be costly if you find them used on a website like eBay. A good way to find them for less is to try to find a jewelry store or card store that is going out of business and make them an offer. Craig’s List can also be a good source to locate someone selling display cases in your area. Another cost tied to this, although minimal is a label maker. You’ll likely want to have a dependable one so you can price and re-price singles on the fly while giving them a consistent look and quality presentation for your store. eBay – There was a time when we saw eBay Stores popping up like crazy to list items for fans. With most of those retail stores going by the wayside, many shops will perform this service for their loyal customers now and also list their own items. While it is a good way to move through inventory, there can definitely be significant costs and hassle with regard to listing, shipping, getting payment, etc. If you decide to go this route, it is important to be very detailed and organized with everything you have going on. If you confuse shipments or don’t immediately ship items, it can result in negative feedback which can quickly affect the prices you get for new products. 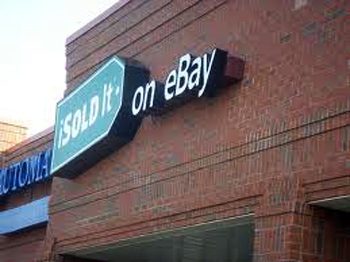 Many shops go with an approach of mixing the traditional with eBay for their approach on selling singles. Just make sure you do your due diligence with regard to new eBay tax regulations as they are always changing and you do not want to get hit with a big bill from the IRS at the end of the year. Brick & mortar eBay stores have more or less gone by the wayside leaving an opportunity for hobby shop owners to offer consignment terms to their customers. Another site to check out is relatively new, but they are getting some good traction with collectors and shops. They are called Checkoutmycards.com and you can find them at that same web address. We encourage new shops to check out both of these as some shops have really had some great success with them. As you’ve seen with the bid board concept, hobby shop owners are very creative with how they move through singles. They will be an important inventory item for you to sell, so it is critical you have a good strategy for how you will sell them. If you are a shop owner with other tips on how to best sell singles, feel free to share in the comment section below! just want to ask though, I’ve opened a LOT of hobby boxes, the jersey cards, autographs and some inserts are easy to sell while the common base cards are just taking up space in my house. Can you suggest a way that I could get rid of ALL my base cards? The traditional and ebay way will take me a LONG time to compile all the base cards I have. I am writing you with hope that you will see this. I really want to open up my own online shop before I open a Store front. The reason for this is because I want to have experience before I go in all the way. If you get a chance maybe you can do something on a Online shop. That would be helpful, or if not maybe you could email me with some info. Thanks for all the help I have really enjoyed all the articles of late. Great video on bid boards! Aaron, that might be a good idea. Start with singles and maybe older wax. Be careful with selling new wax as many companies, including Upper Deck, have programs to limit the sale of our new products online. We prefer them to be sold in shops or at shows by our network of Certified Diamond Dealers.